Outlining his approach to painting light-filled landscapes, David Curtis stresses the need to paint plein air, with little or no studio work, and discusses techniques and materials suitable for this approach. The book includes advice on preparing the materials, and on composition and tonal range. 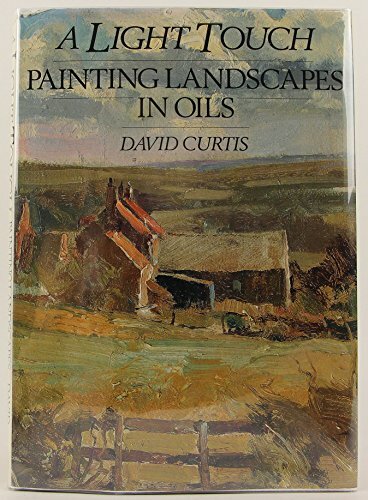 Outlining his own approach to painting light-filled landscapes, David Curtis stresses the need to paint plein air, with little or no studio work, and discusses techniques and materials suitable for this approach. Detailed instruction on preparing the materials for painting, and advice on composition and tonal range, are designed to enable the artist to capture with style and freshness the light effect that formed their original inspiration. The book includes over a hundred colour examples of the author's own work, including five detailed step-by-step demonstrations in which he puts his advice into practice. David Curtis won the Singer & Friedlander/Sunday Times Watercolour Award in 1992.